Have you ever been at a place which was so inspiring there was only one thing you immediately wanted to do? Capture your ideas and make them happen. I did. Sal is where I created my idea to expand my advertising agency to Cabo Verde. A year ago I visited the Island Sal in Cabo Verde. For the first time, I planned to stay for 2 weeks on this Island to do some research, and I fell in love with it. Although I was born on Sao Vicente I really liked Sal as well. After a year of research and preparing my business plan I got in contact with Arnout Nuijt from Atlantico Business Development. Because my business plan was missing information I decided to join Atlantico Business Development with their mission to Cabo Verde. When Arnout registered my agency to be a part of the mission to Cabo Verde I was very excited, because I never had done business in Cabo Verde. 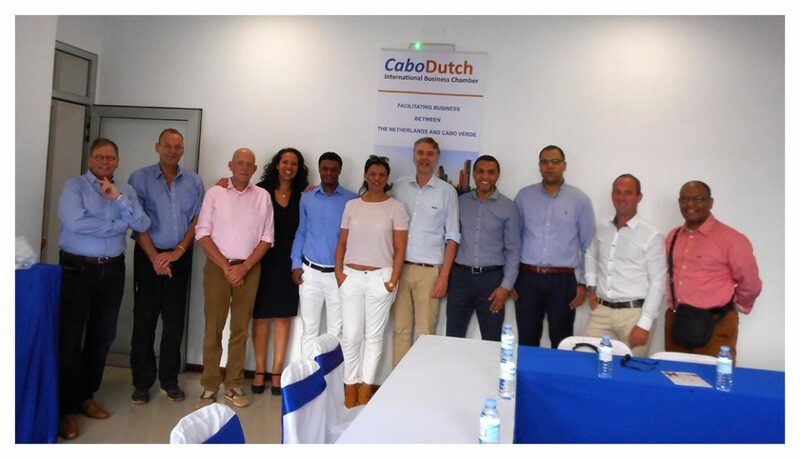 Leading up to the mission Arnout and his business partner and wife Maria prepared me for the differences, tips and tricks on doing business in Cabo Verde. After Arnout gave us a Presentation in the new office of Atlantico Business Development – in Rotterdam, the Netherlands – on doing business in Cabo Verde, receiving our schedule with appointments and meeting the other members of the delegation I went home very inspired. Just one week to go, before I went to Sal. On Saturday 12 November I arrived on Sal where the mission started. I arrived a day earlier so I already could meet my family, friends and start enjoying Cabo Verde before I had to start with my tight schedule I received from Maria. Sunday night we had a kickoff diner at the Hotel Odjo d’Agua with Arnout and Maria and the members of the delegation that was offered by Atlantico Business Development. During dinner Maria shared out our definitive schedule with our personal appointments. Monday morning, we took the bus to Hotel Belorizonte where we had our first meeting with the Chamber of Commerce of Sal. It was a very nice meeting with different existing businesses located on Sal. At this meeting, I met Mrs. Carla Carvalhal who is the alderman of the municipality of Sal. Carla Carvalhal was very understanding, interested and helpfull after we did our pitch. She told me to do my business presentation at the municipality of Sal where she would gather all the right people to hear about my business plan. This day I also met and discussed my project with Mr. Jose Lourenco who was very excited to do business with Caetano Advertising! GOAL 1!! Our next stop was to meet Mr. Patone Lobo who is the owner of the Hotel Odjo d’Agua. Mr. Patone Lobo told us about the interesting developments on the Islands of Sal. From Hotel Odjo d’Agua we went for a business lunch at the Beach Club. Next meeting was my first personal appointment with Jorge Santos who is responsible for the Communication and Marketing at ASA (Aeroportos e Seguranca Aerea). 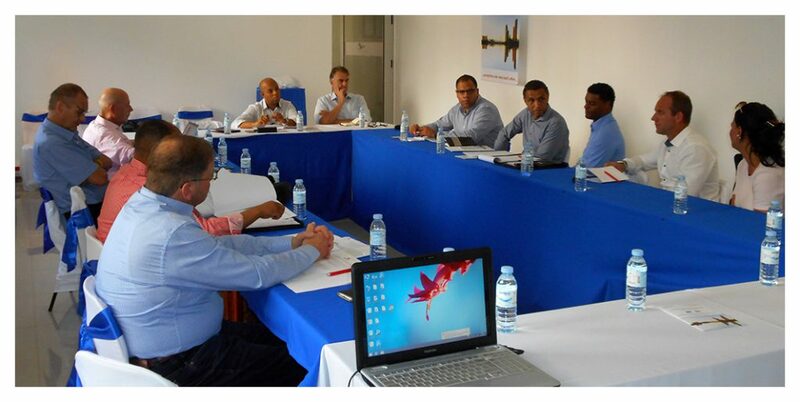 This was a great meeting to know about how the airports on the Cabo Verde Islands are renewing and how they advertise. Jorge was interested in my concept and offered me to participate in future tender offers. So, this was my GOAL 2! At the end of the day we all went to the airport from where we flew to Sao Vicente. I went to rest at my grandmother’s house and the others stayed at the Hotel Porto Grande. Next morning at 9:00 the first meeting started at the Chamber of Commerce of Barlavento. 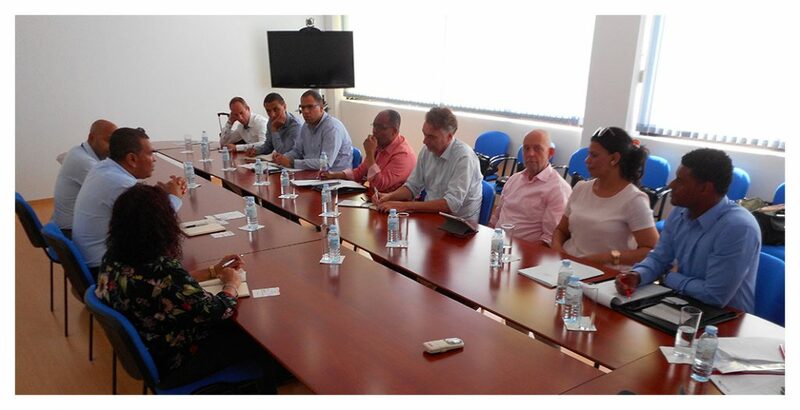 At this meeting, I learned a lot about the business market on the Islands of Sao Vicente, Sal, and Santo Antão. This is because we had a great speaker Belarmino Lucas who could explain and answer everything so well. Definitely GOAL 3! From the my beloved Praca we went off to ENAPOR where we had a meeting with the new managing board. Also, this was a great meeting with a lot of eye openers. After having two great meetings we went to have lunch at the nice place called Pont d’Agua with some representatives of the Chamber of Commerce. We had a nice lunch and talk, but now I had to hurry because I had a personal appointment with Marcos Ferreira who is the owner of DOUTVISIONS. Our conversation started a bit awkward because I didn’t know anything about DOUTVISIONS. But Marcos had heard of my presence and called to meet me and to hear about my project in Cabo Verde. So we discussed some new potential business for the future. Now I had to hurry back to get my luggage and get to the airport where we all would fly to Praia and stay at the Hotel Praiamar. This was my first time in Praia so I had great expectations about my capital city. The next day we had breakfast more easy going, because our first meeting with ADEI was at 11:00. At ADEI I had a meeting with Francisco Lima Fortes, Leonilda Semedo Mendes and Hegel Fernandes. 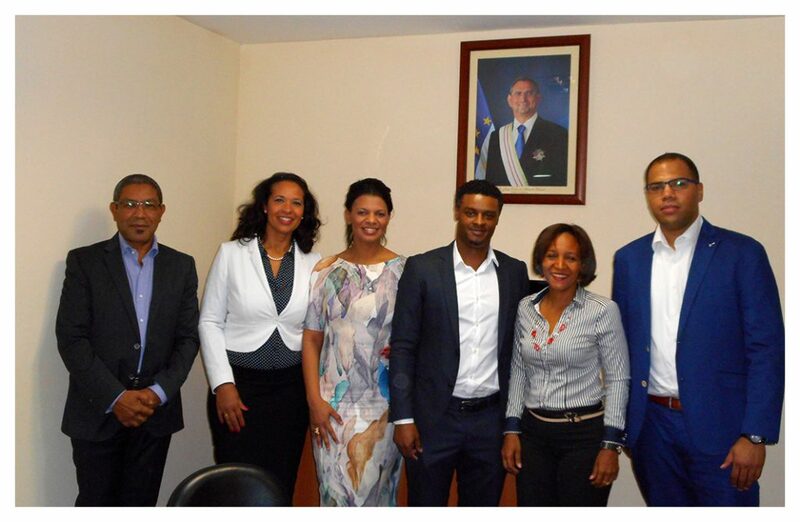 The reason why I mention these people is because they took so much time in listening and explaining about starting up a business in Cabo Verde and all the support you can expect from ADEI. 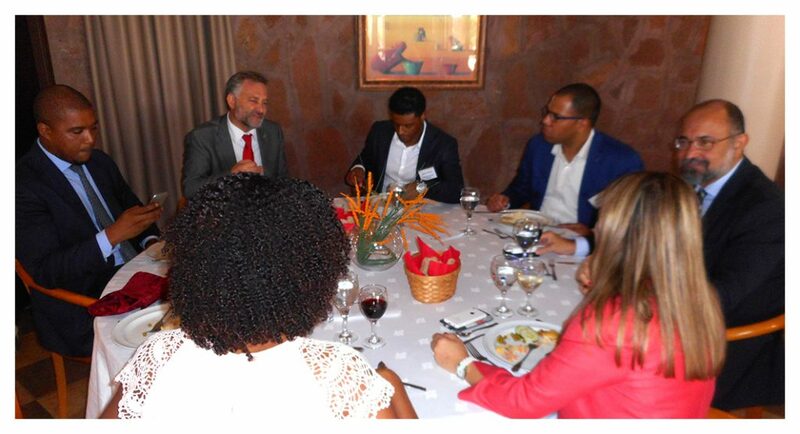 So this was a very informative meeting for entrepreneurs that are interesting in doing business in Cabo Verde. 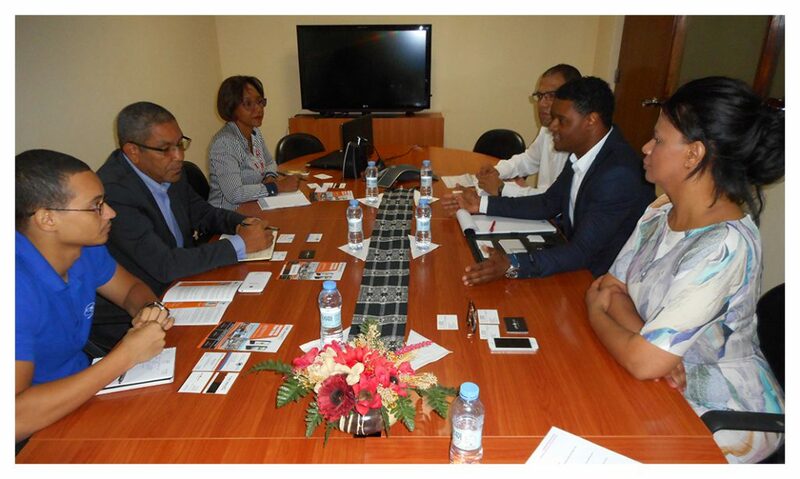 Our next meeting was with the new managing board of Cabo Verde TradeInvest at a beautiful office named Cruz do Papa. Here I met the Presidente of Cabo Verde TradeInvest, Ana Lima Barber. She is such an inspirer and motivator when she talks. Afterwards I was so inspired and full of adrenaline. 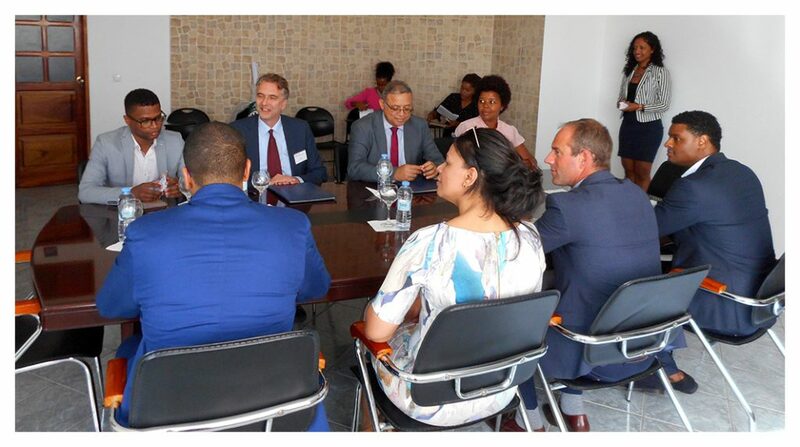 If I wasn’t a 100% sure on doing business in Cabo Verde before the meeting, then now after the meeting I was sure for a 1000%. It was a great pleasure to meet Ana and hope to speak to her soon. 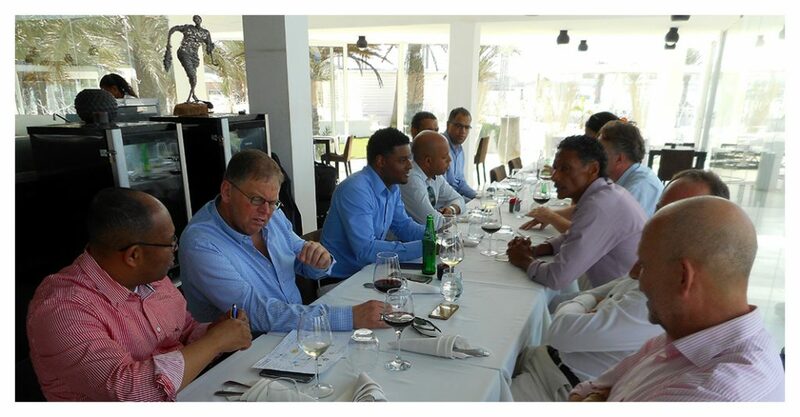 After this power meeting, we were invited by the company PWC to have lunch at Hotel Pestana Tropico with directors of great companies, like Unitel, Electra, Tecnicil, Director of the bank, Owner of the hotel Pestana Tropico and some more. This lunch was so informally and so informative. I would like to thank Leendert Verschoor for this lunch and the new contacts. Now we had a last trip to the Chamber of Commerce for Sotavento. This meeting was to support Arnout and Maria for their business Atlantico Business Development with their achievement. Here Arnout signed a covenant with the Chamber of Commerce for Sotavento and Barlavento. You did a great job Atlantico Business Development! Our bus took as back to the hotel to change because we had one more stop, the Feira Internacional de Cabo Verde (FIC). I met a lot of interesting people and companies on this event. It was all I expected and quite successful. I would like to thank Arnout and Maria for their professionalism. It was a great experience for me. Also special thanks to the entire delegation, you guys were awesome to meet. And for some of you I cant wait to start new business as partners. 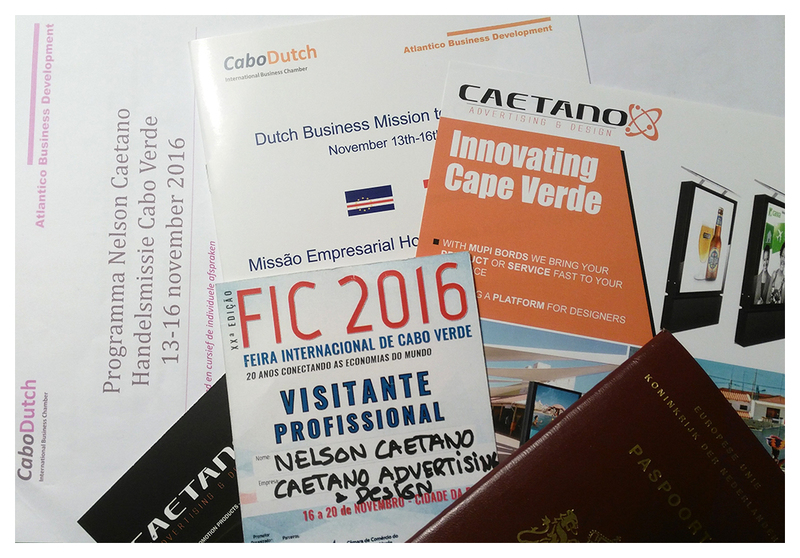 For people who still have some doubts to do business in Cabo Verde I recommend participating in a business mission. You can experience yourself the many opportunities this country offers and last but not least, how great this country is. 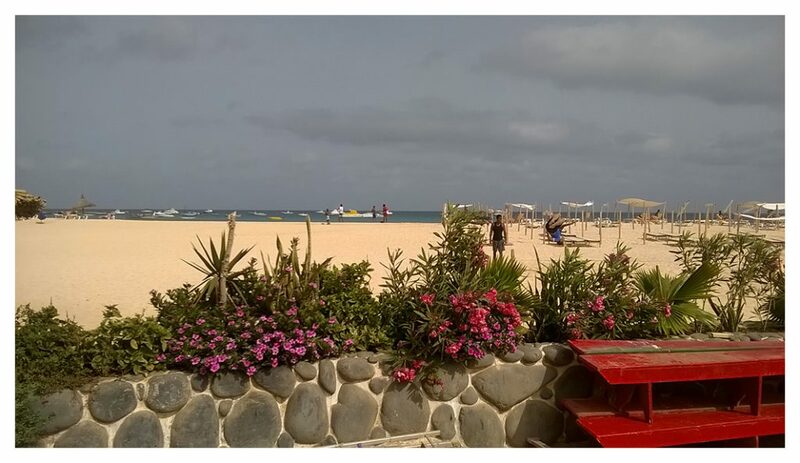 Share the post "Inspiring Cabo Verde"